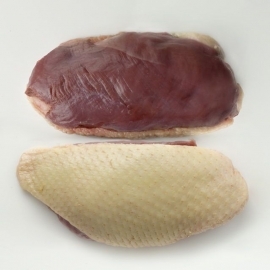 Duck Breasts There are 13 products. 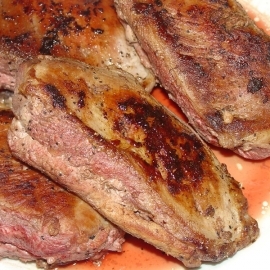 2 Boneless Duck Breasts weighing at least 16 ounces each. (That's a total of 4 lobes at 8 oz. each.) Shipped fresh on the day of harvest. 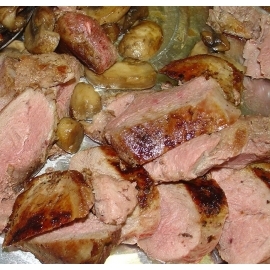 2 Boneless Duck Breasts weighing at least 16 ounces each. (That's a total of 4 lobes at 8 oz. each.) Shipped frozen. 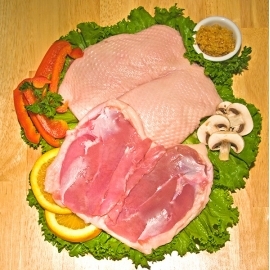 2 Boneless Duck Breasts weighing at least 18 ounces each. (That's a total of 4 lobes at 9 oz. each.) Shipped fresh on the day of harvest. 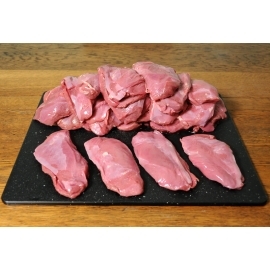 20 USDA All-Natural boneless duckling breasts weighing at least 16 ounces each 40 lobes at 8 ounces. The total net weight will be over 20 pounds. 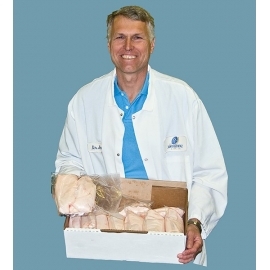 Delivered frozen. 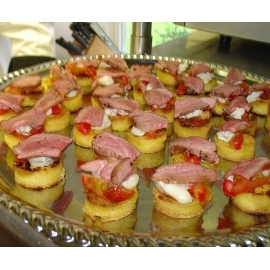 A full case of 20 Boneless Duck Breasts weighing at least 16 ounces each. (That's a total of 40 lobes at 8 oz. each.) The total net weight will be over 20 pounds. Shipped fresh on the day of harvest. 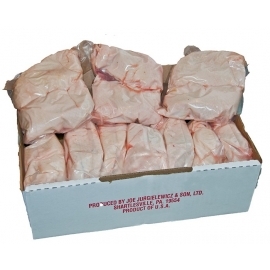 A full case of 20 Boneless Duck Breasts weighing at least 18 ounces each. (That's a total of 40 lobes at 9 oz. each.) Shipped fresh on the day of harvest.